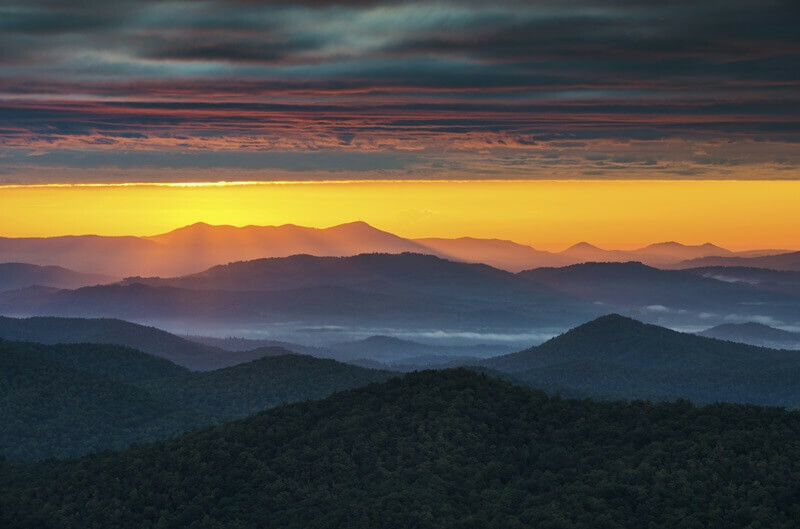 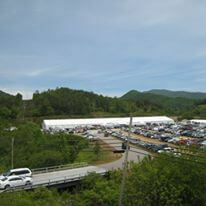 Franklin is a small town located at the foot of the Great Smoky Mountains in western North Carolina. 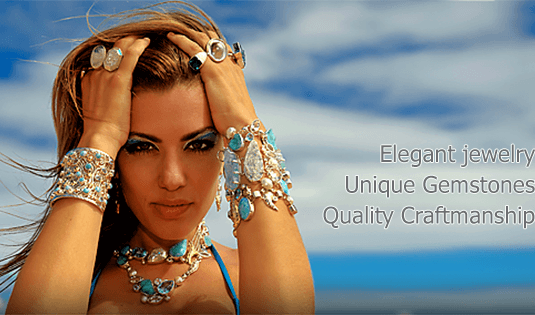 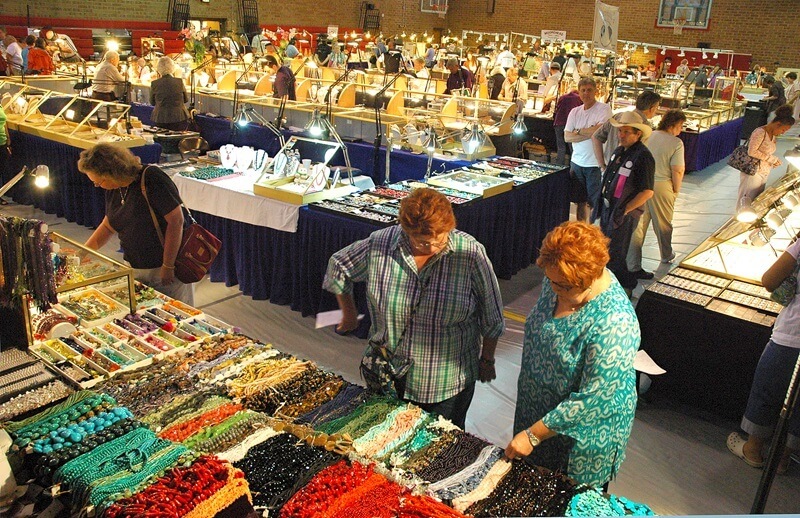 Twice a year — in May and July — the town hosts one of the country's finest gem and mineral showcases. 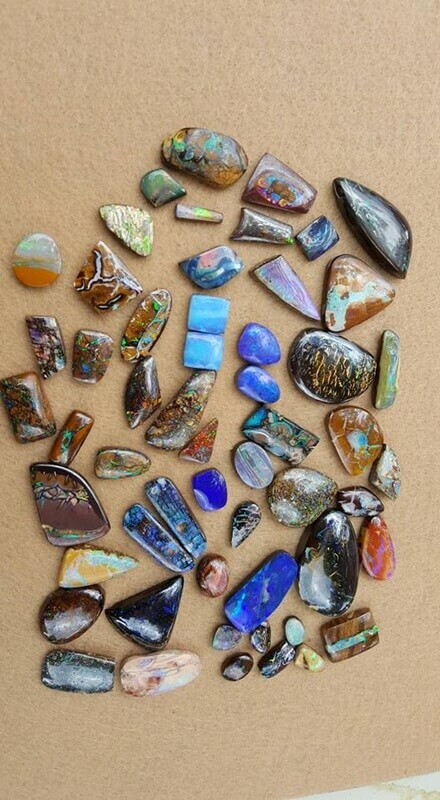 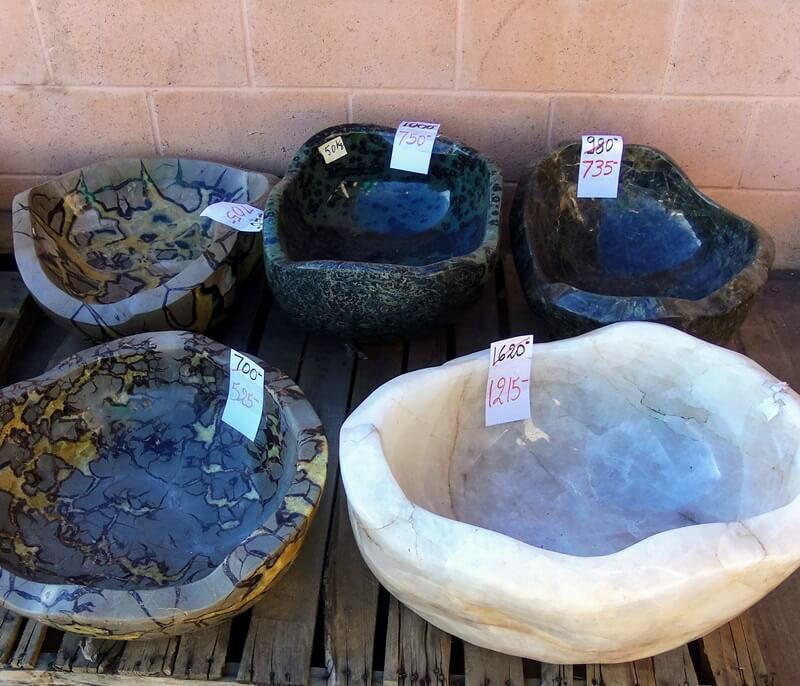 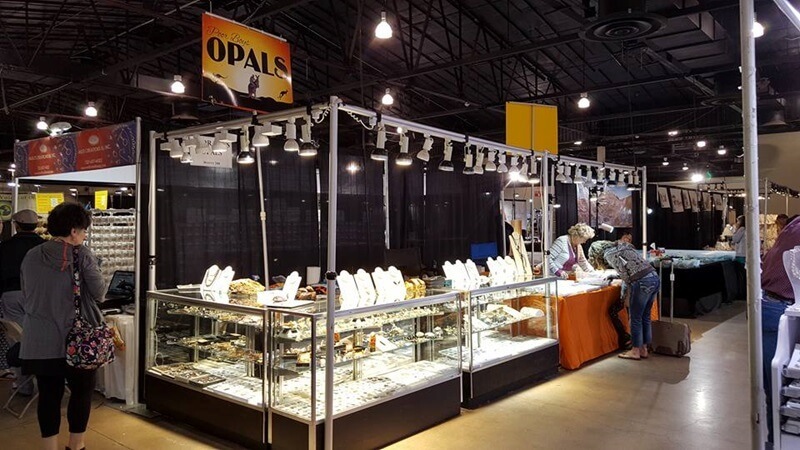 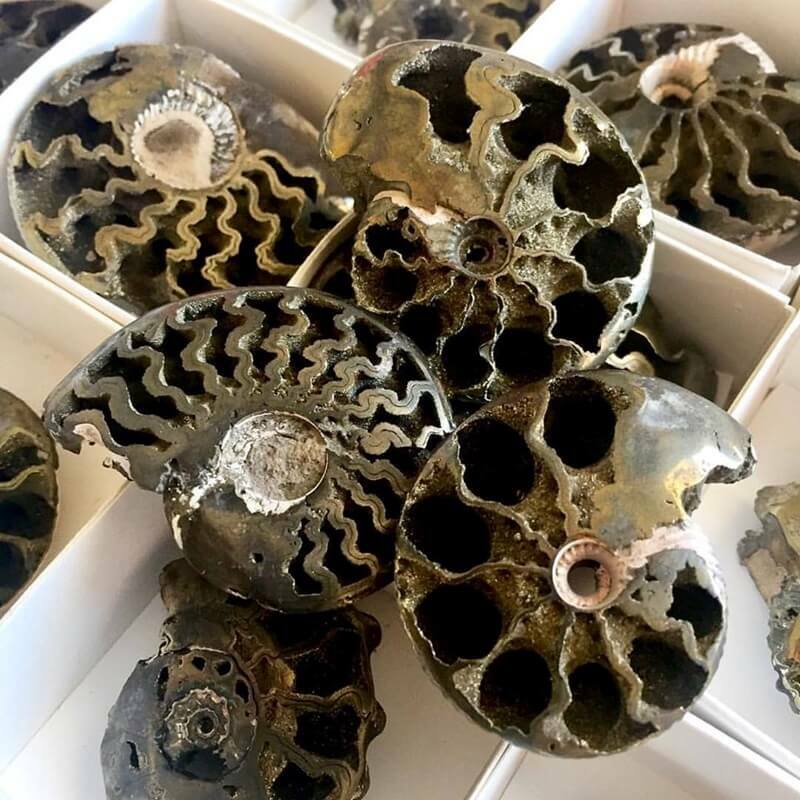 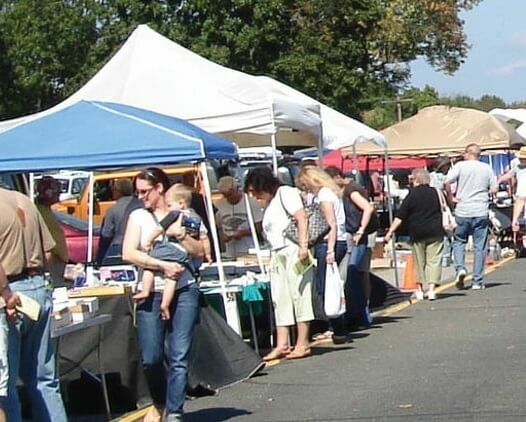 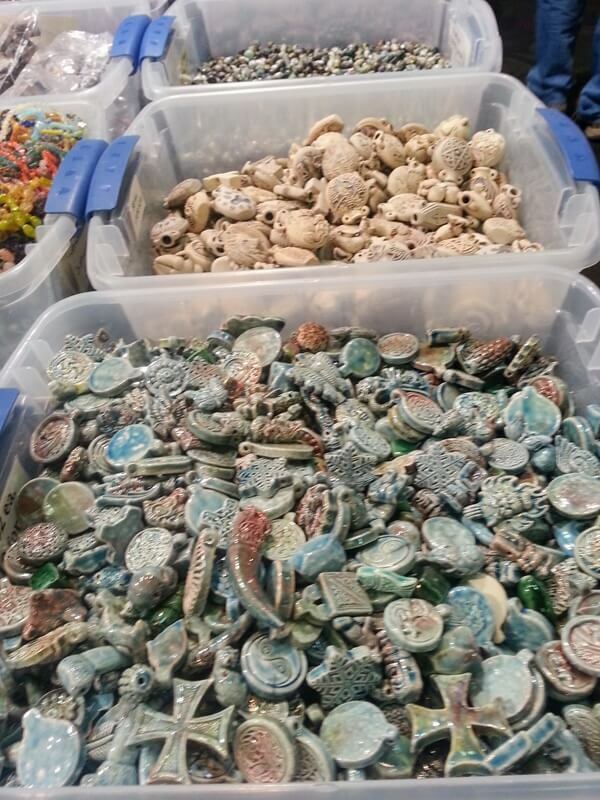 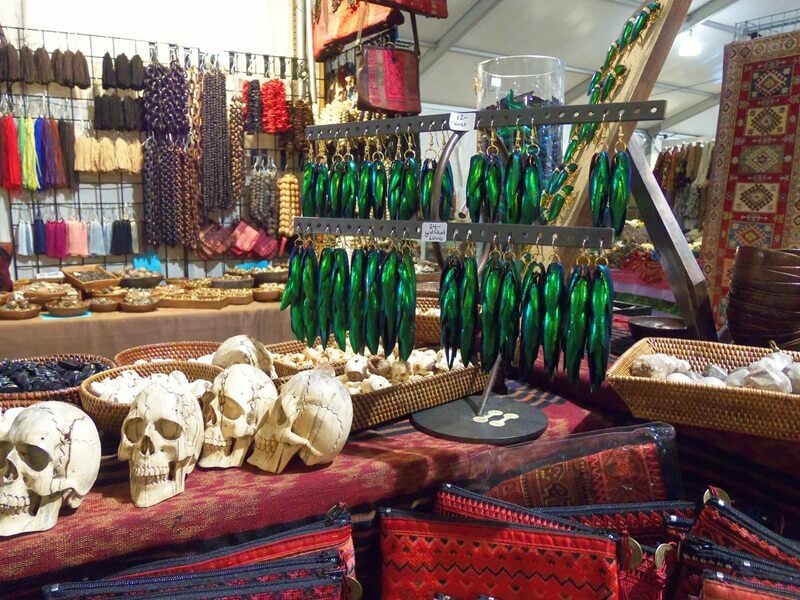 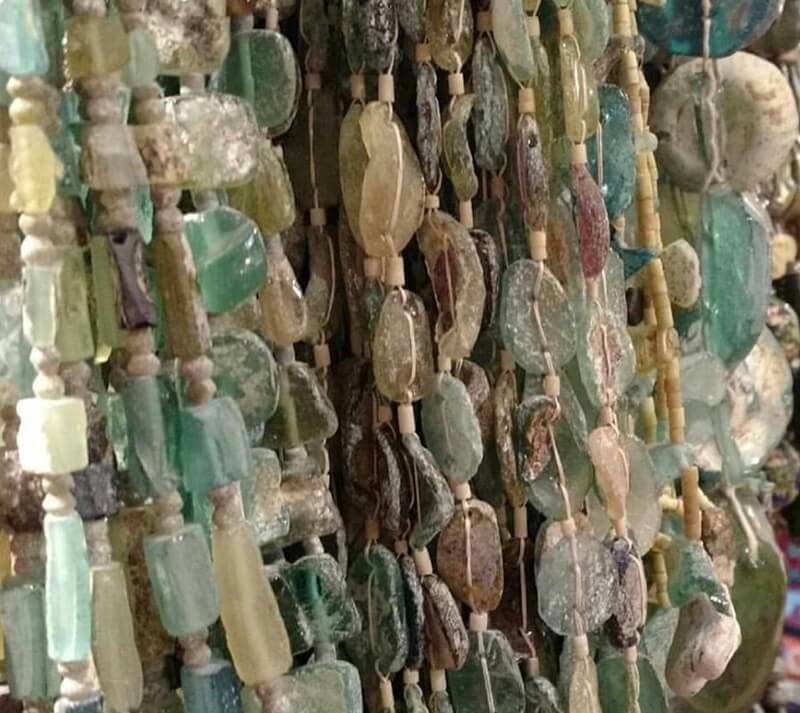 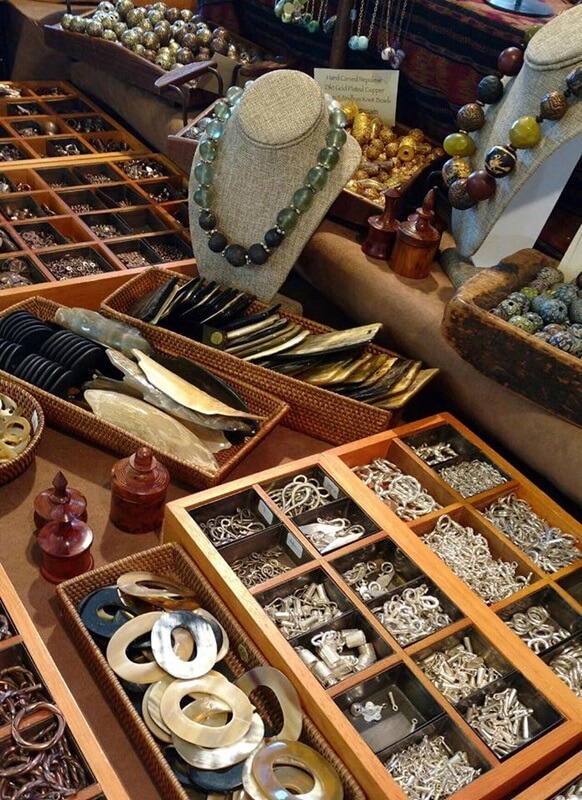 With the G&LW wholesale show as its hub, the showcase also features shows ran by the local gem and mineral society, the chamber of commerce, as well as two fine independently owned gem shows. 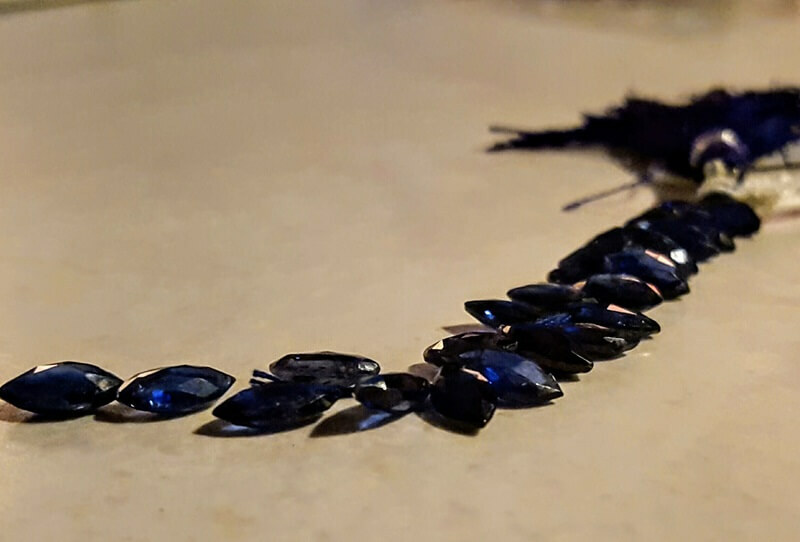 This sapphire, one of the largest ever found in North Carolina, is on display at the Franklin Gem & Mineral Museum. 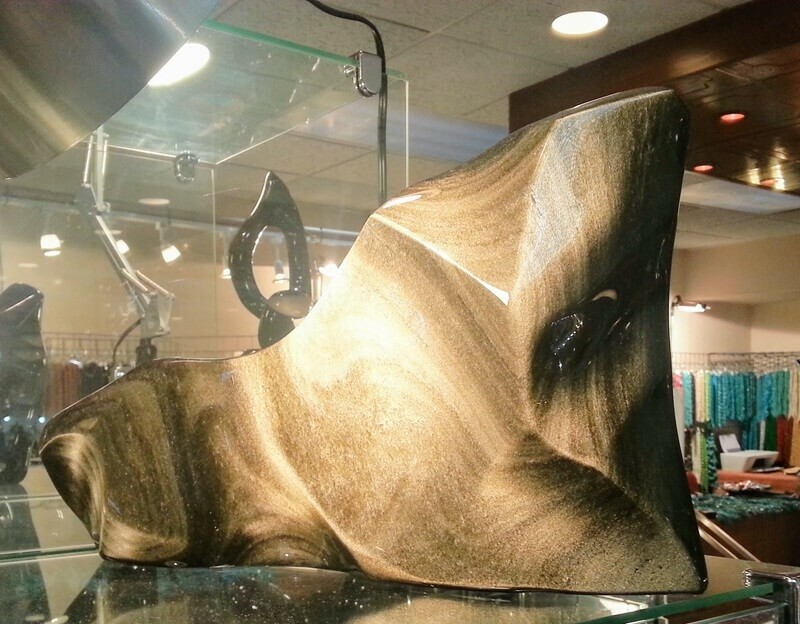 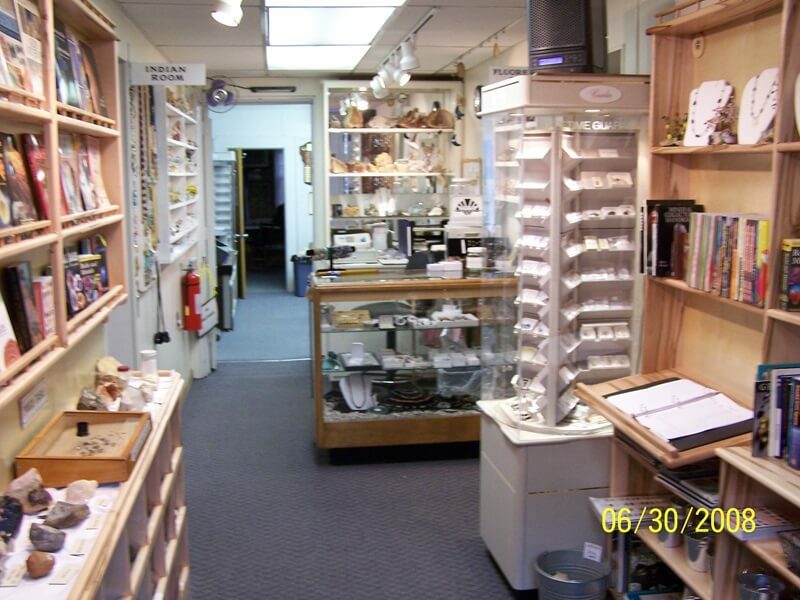 Be sure to visit the gift shop in the Franklin Gem & Mineral Museum. 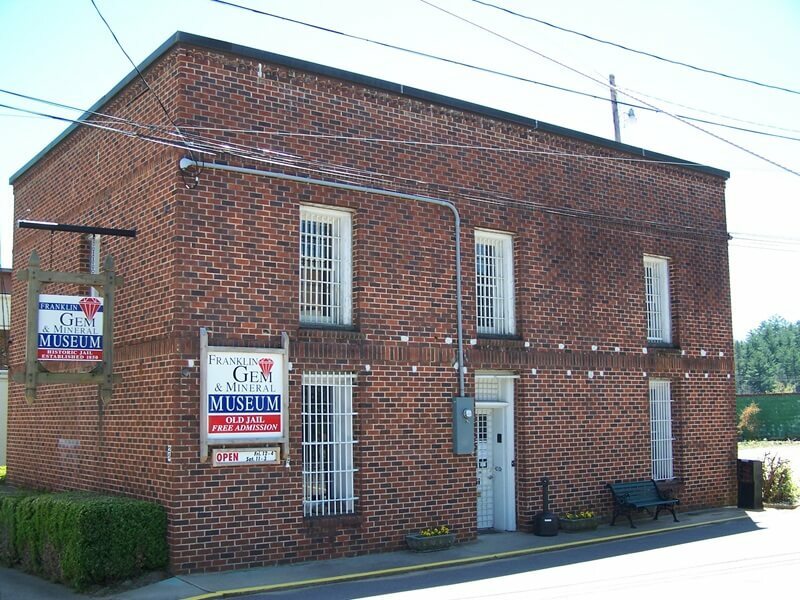 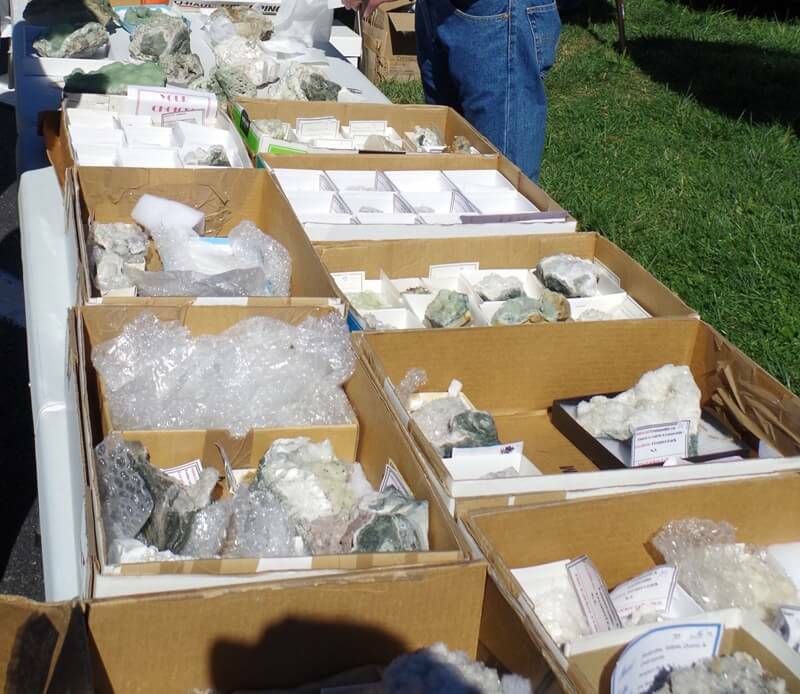 Every rockhound, while you're attending the gem shows in Franklin, needs to visit the Franklin Gem & Mineral Museum, the excellent handiwork and home of the Gem & Mineral Society of Franklin. 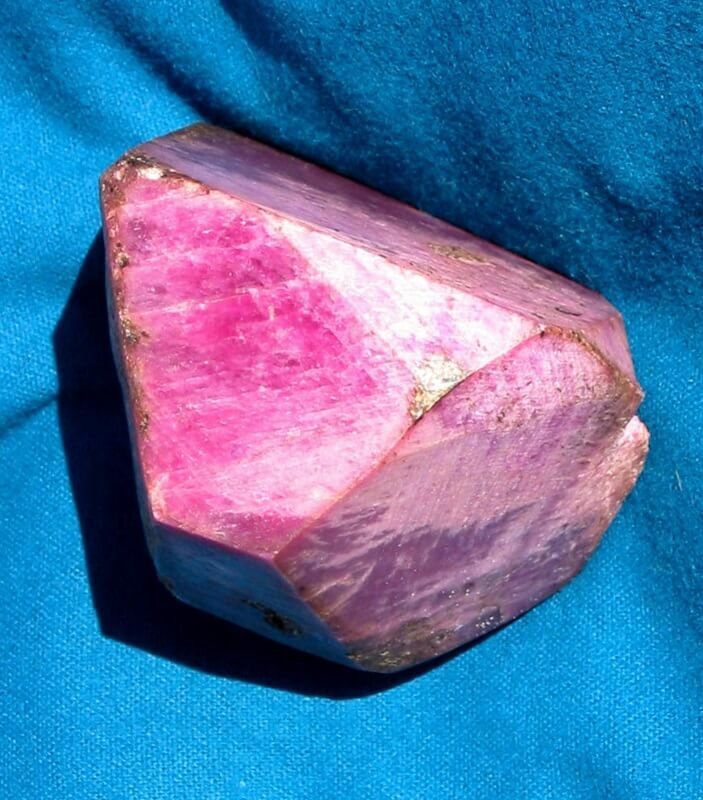 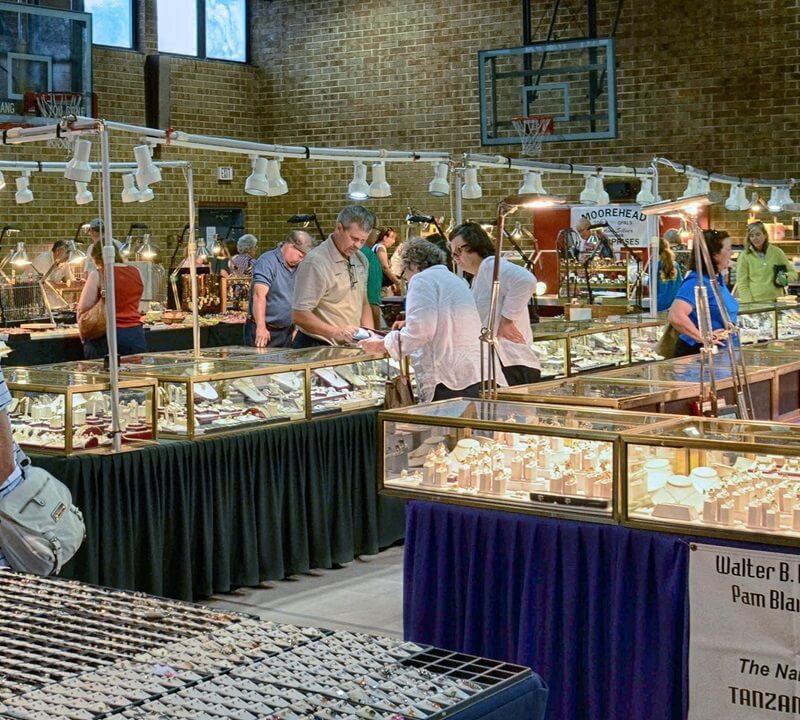 Five gem and mineral shows are open simultaneously in both May and July in Franklin, which is why we call it a "showcase." 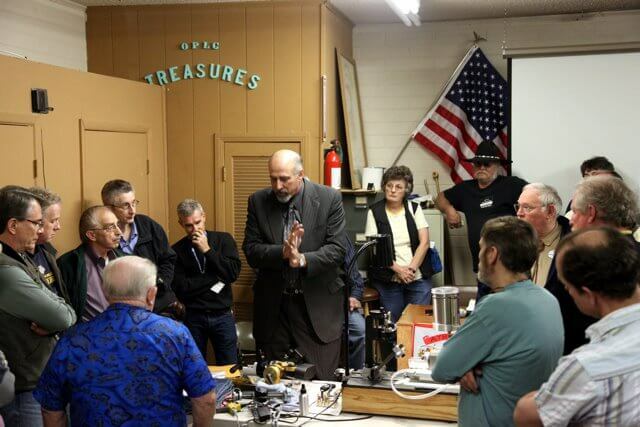 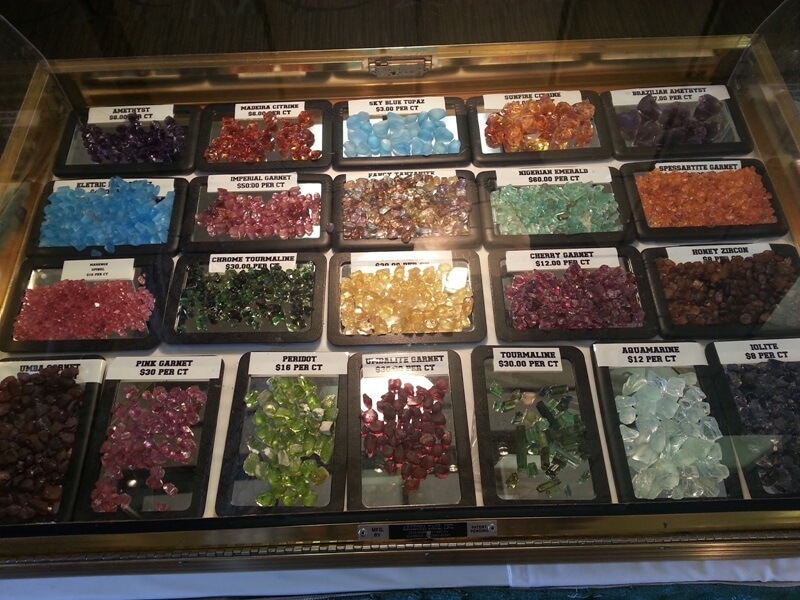 This photo depicts the show floor at the Macon County Gemboree. 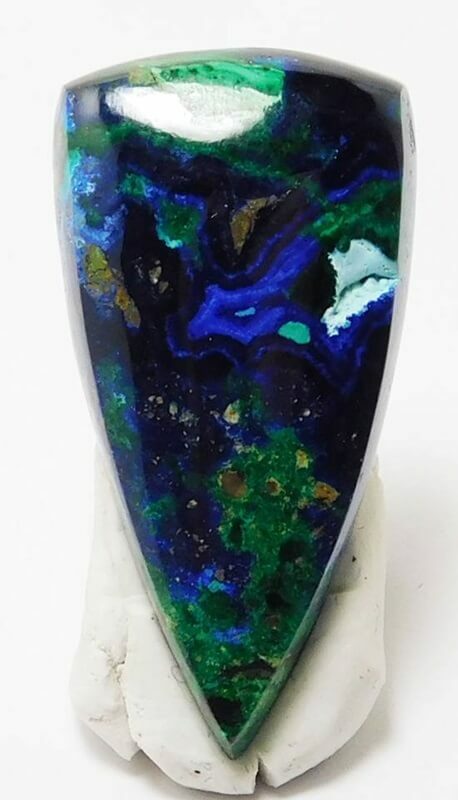 Azure-Malachite by Unconventional Lapidarist at the Echo Valley Gem & Mineral Show. 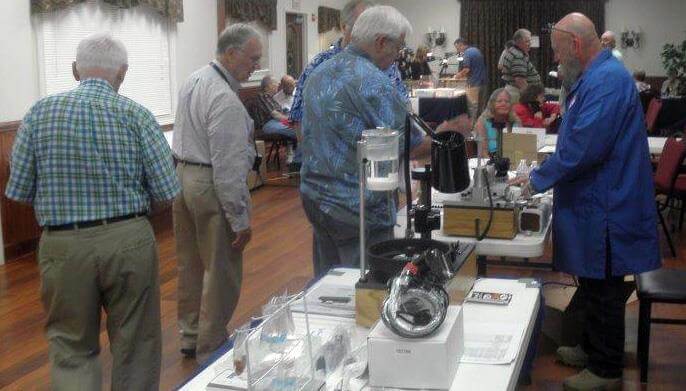 The Franklin Faceters Frolic is a popular event featuring educational seminars by Master Cutters, like Dalan Hargrave pictured above. 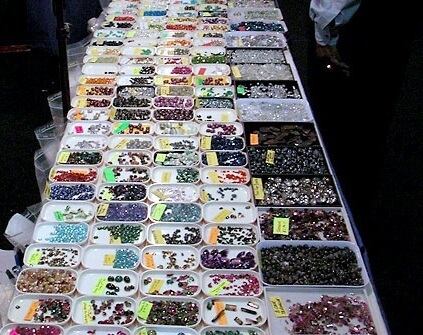 Gem Shows are a Family affair! 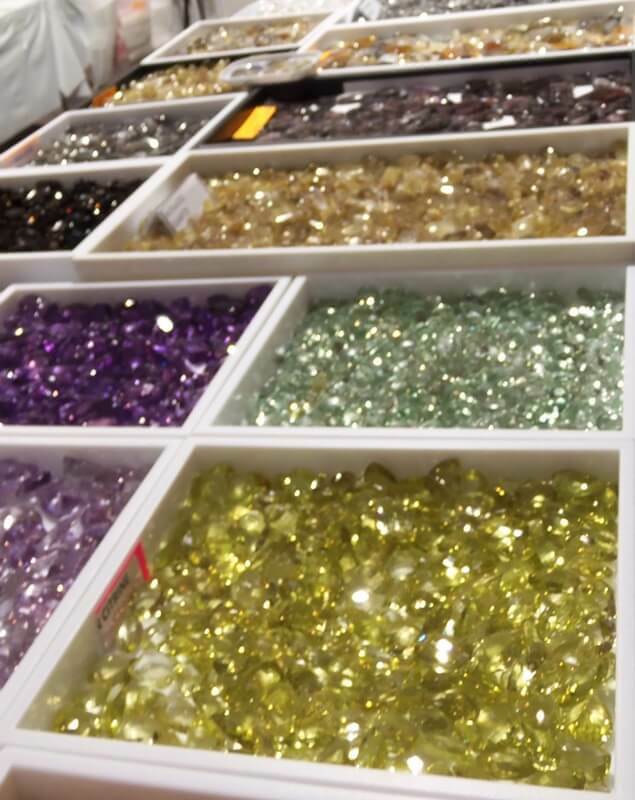 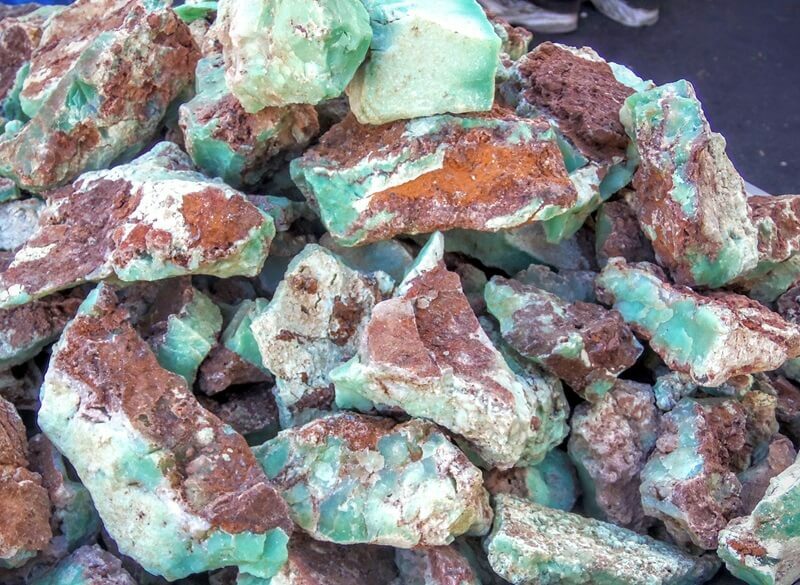 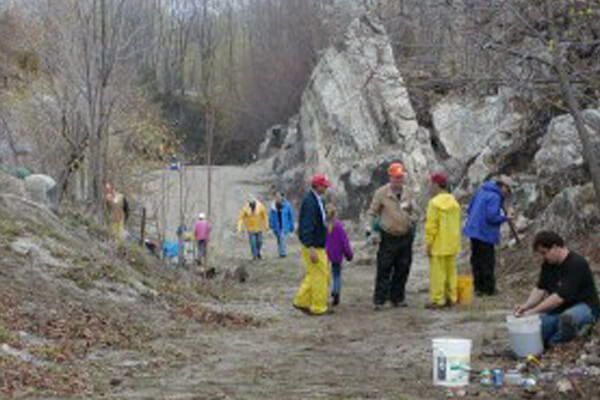 Some of the dozens of area “gem mines” enjoy their peak season, providing tourists with the unforgettable experience of sluicing for authentic gemstones — as well as rockhounding fieldtrips for sapphires, rubies, emeralds, and many more! 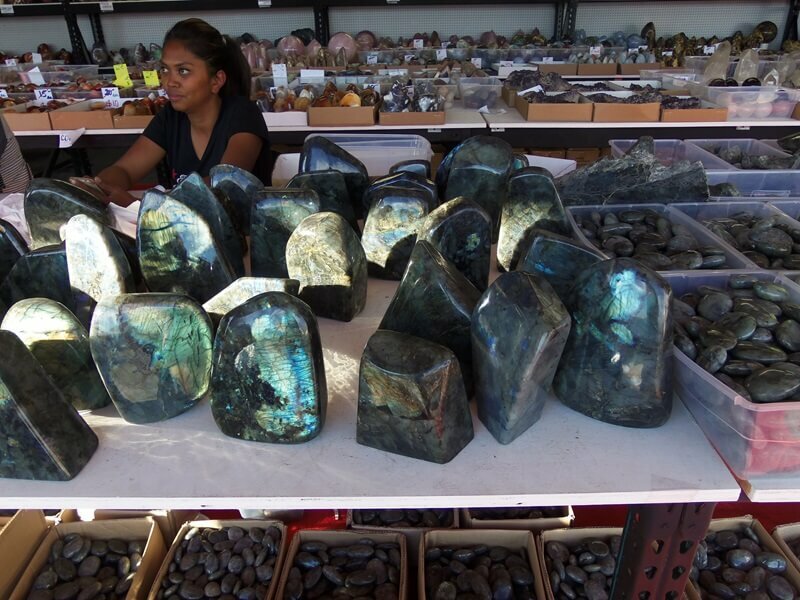 Madagascar Seam - chunky Labradorite at the Echo Valley Gem & Mineral Show.